This week our Forex signals basically resulted in a brake even. 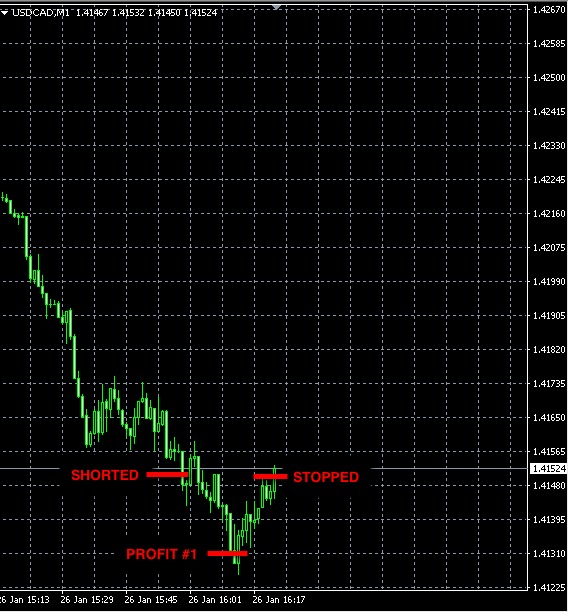 As you can see on the chart below, our profit target P1 had been reached but stop-loss orders were triggered before the down trend resumed. Things like this happen from time to time. 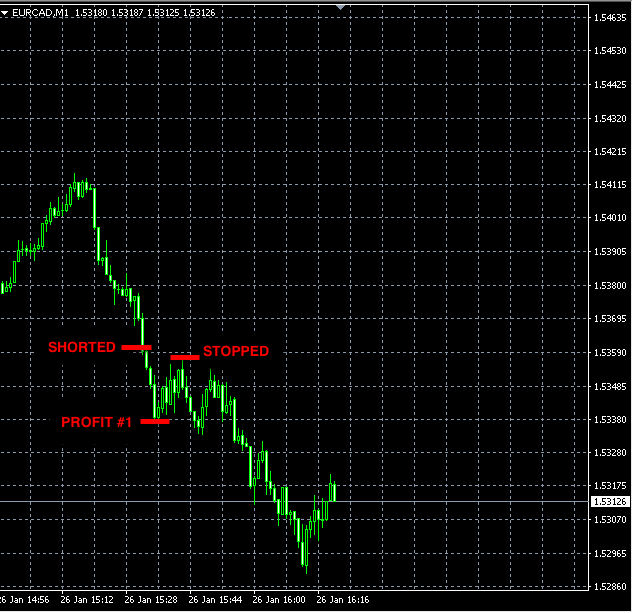 Nevertheless, we still made +24 pips of profit. We issued one Forex signal today and it was not triggered. 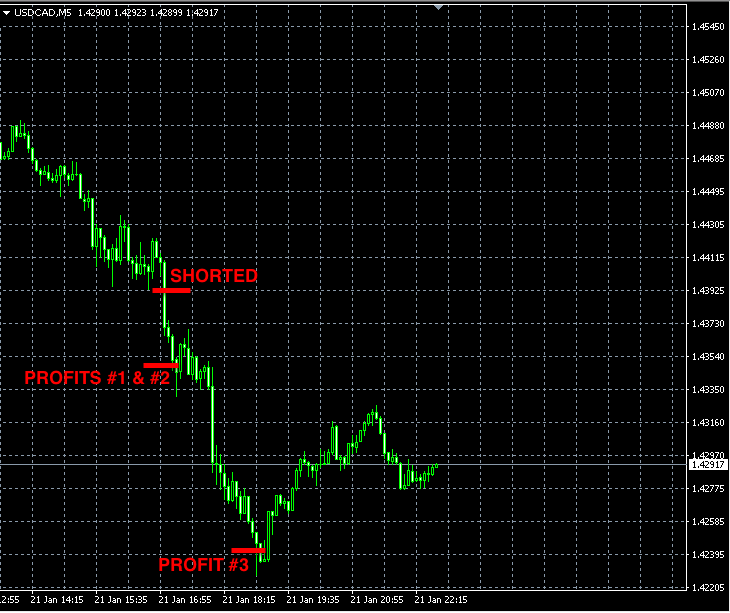 This week our Forex signals made +142 pips of profit. None of our signals were triggered during the Monday – Wednesday period. 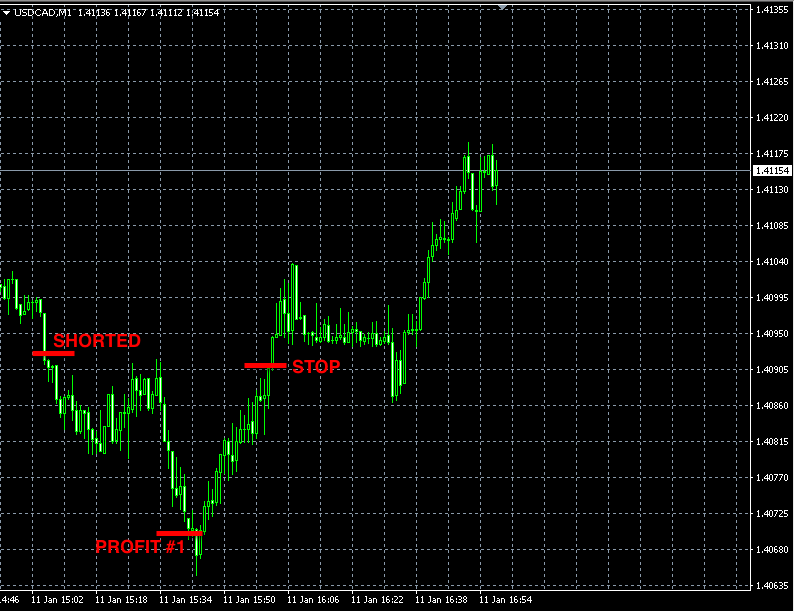 This week the total Forex signals result is break even. The first week of 2016 was not very lucky for us. The total combined result of trading this week is-72 pips loss.